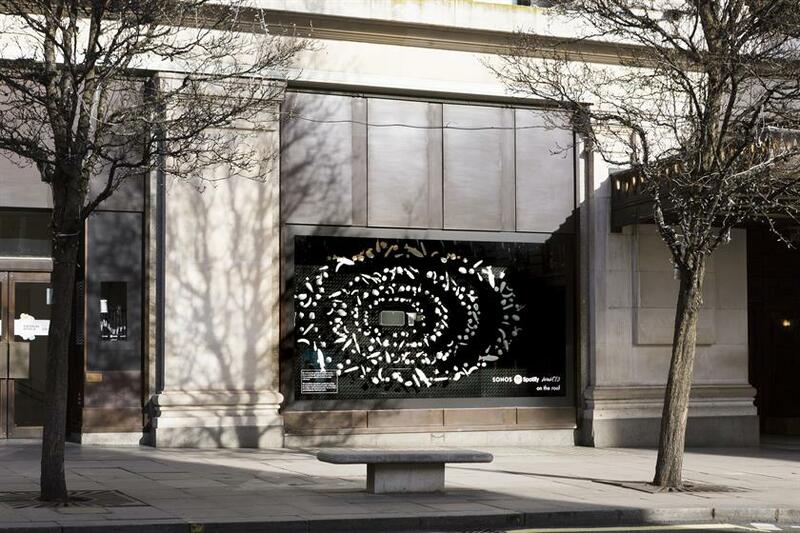 Sonos has devised a window installation at Selfridges to bring to life its partnership with music platform Spotify. The installation, devised by agency Amplify, marks the fact that the Sonos and Spotify partnership is the official music provider for Selfridges’ WastED London pop-up, a restaurant featuring menus based on potentially wasted by-product ingredients. The display is an imaginary visualisation of the artistry and interconnectivity of two of life’s great pleasures: music and food. Running until 2 April, the installation is inspired by WastED’s acclaimed chefs, such as Blue Hill’s Dan Barber, using Spotify to curate playlists that amplify their dining experiences over Sonos sound systems. 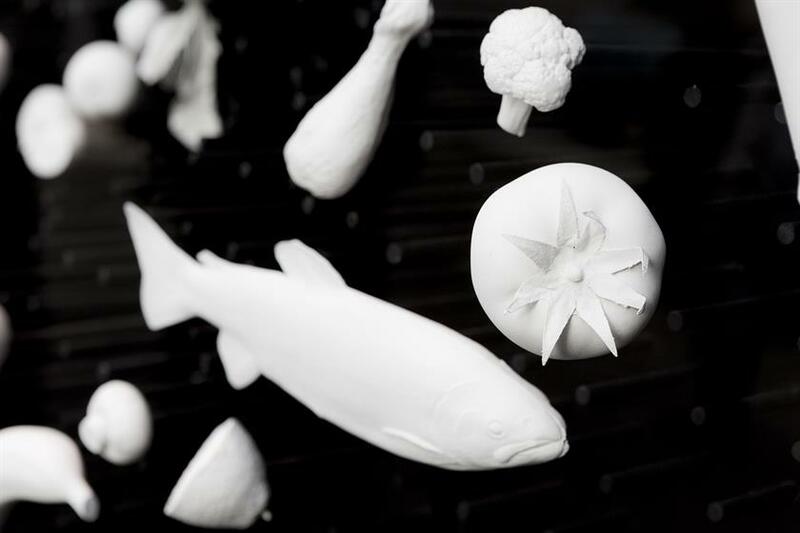 The installation features black rods that symbolise sound waves emanating from a Sonos speaker, and white wax food sculptures representing wastED ingredients. Up close, the installation appears to be an enigmatic collection of ingredients. Step back, and people see a three-dimensional sonic wave. 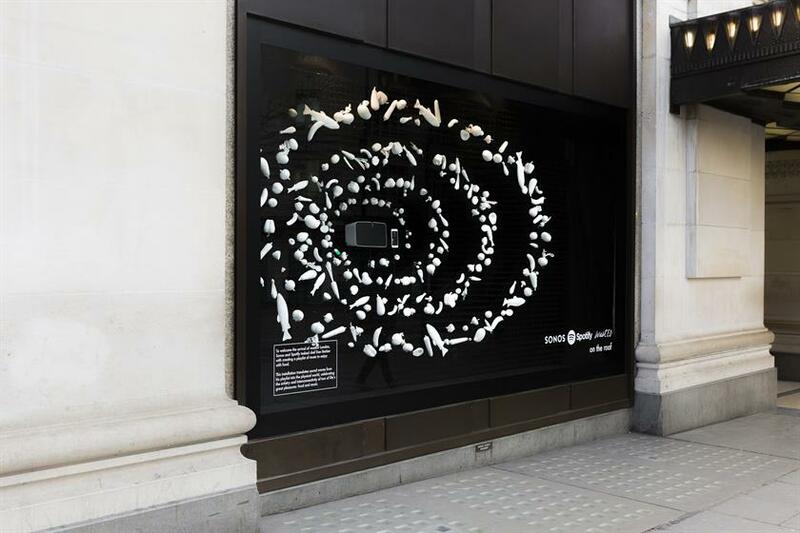 Amplify’s founder, Jonathan Emmins, said: "It’s not often you get a chance to create art for one of the world’s most visible shop windows. So this sonic food sculpture – a highly artistic conceptualisation of the interplay between music and food – was a golden opportunity to show off Amplify’s creativity. Marrying the requirements of three different stakeholders helped shape a unique display that stops shoppers in their tracks." This campaign follows Amplify’s earlier work for Sonos, which included a ‘Listening Amnesty’ activation, part of the brand’s ‘You’re Better Than This’ campaign, where Londoners were given the chance to swap their old speakers for a new Sonos wireless sound system.